At 7:00 p.m. on March 6, 1967, a taxi drew up to the open gates of the American Embassy on Shantipath Avenue in New Delhi. Watched carefully by the Indian police guard, it proceeded slowly up the circular drive. The passenger in the backseat looked out at the large circular reflecting pool, serene in the fading light. A few ducks and geese still floated among the jets of water rising from its surface. The embassy’s exterior walls were constructed of pierced concrete blocks, which gave the building a light, airy look. The woman noted how different This was from the stolid institutional Soviet Embassy she had just left. So this was America. Svetlana Alliluyeva climbed the wide steps and stared at the American eagle embedded in the glass doors. All the important decisions of her life had been taken precipitately. Once she crossed this threshold, she knew that her old life would be irrevocably lost to her. She had no doubt that the wrath of the Kremlin would soon fall on her head. She felt defiant. She felt terrified. She’d made the most important decision of her life; she’d escaped, but into what she had no idea. She did not hesitate. Clutching her small suitcase in one hand, she rang the bell. Danny Wall, the marine guard on desk duty, opened the door. He looked down at the small woman standing before him. She was middle-aged, neatly dressed, nondescript. He was about to tell her the embassy was closed when she handed him her passport. He blanched. He locked the door behind her and led her to a small adjacent room. He then phoned Robert Rayle, the second secretary of the embassy, who was in charge of walk-ins— defectors. Rayle had been out, but when he returned the call minutes later, Wall gave him the secret code indicating the embassy had a Soviet defector, the last thing Rayle was expecting on a quiet Monday evening in the Indian capital. was Stalin’s daughter, she was Soviet royalty. Her defection would be a deep psychological blow to the Soviet government, and it would make every effort to get her back. The American Embassy would find itself in the midst of a political maelstrom.5 Rayle remained suspicious. He asked her why her name wasn’t Stalina or Djugashvili, her father’s surname. She explained that in 1957 she had changed her name from Stalina to Alliluyeva, the maiden name of her mother, Nadezhda, as was the right of every Soviet citizen. Then she passed Rayle a battered sheaf of paper. It was a Russian manuscript titled Twenty Letters to a Friend and bearing her name as author. She explained that it was a personal memoir about growing up inside the Kremlin. Ambassador Kaul, whom she and Brajesh Singh had befriended in Moscow, had carried the manuscript safely out of the USSR a year ago January. As soon as she’d arrived in New Delhi, he returned it to her. 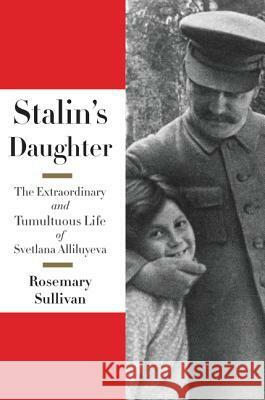 This was astonishing: Stalin’s daughter had written a book. What might it reveal about her father? Rayle asked if he could make a copy of it, and she assented. Following his advice as to the wording, she then wrote out a formal request for political asylum in the United States and signed the document. When Rayle warned her that, at this point, he could not definitely promise her asylum, Svetlana demonstrated her political shrewdness. She replied that “if the United States could not or would not help her, she did not believe that any other country represented in India would be willing to do so.” She was determined not to return to the USSR, and her only alternative would be to tell her story “fully and frankly” to the press in the hope that she could rally public support in India and the United States.8 The refusal to protect Stalin’s daughter would not play well back home. Svetlana understood how political manipulation worked. She’d had a lifetime of lessons. biography and an explanation of why she was defecting. At this point, he excused himself again, saying he had to consult his superiors. The US ambassador, Chester Bowles, was ill in bed that night, so Rayle walked the ten minutes to his home in the company of the CIA station chief. Ambassador Bowles would later admit that he had not wanted to meet Svetlana personally on the chance that she was simply a nutcase. With Bowles’s special assistant Richard Celeste in attendance, the men discussed the crisis. Rayle and his superiors realized there was not going to be enough time to determine Svetlana’s bona fides in New Delhi before the Soviets discovered she was missing. Bowles believed that the Soviet Union had so much leverage on the government of India, which it was supplying with military equipment, that if it found out Svetlana was at the US Embassy, Indian forces would demand her expulsion. The embassy would have to get her out of India. The men discussed their options. They could refuse Svetlana help and tell her to return to her embassy, where it was unlikely her absence had been noticed. But she’d made it clear she would go to the international press with the story. They could keep her in Roosevelt House or in the chancery, inform the Indians that she’d asked for asylum in the United States, and await a court decision. The problem with this option was that the Indian government might take Svetlana back by force. The embassy could try to spirit her out of India covertly. None of these were good options. The deciding factor was that Svetlana had her Soviet passport in her possession. This was unprecedented. The passports of Soviet citizens traveling abroad were always confiscated and returned to them only as they boarded their flights home. That afternoon the Soviet ambassador to India, I. A. Benediktov, had held a farewell luncheon for Svetlana. It was a grim affair. He was furious with her because she had delayed her departure from India long past the one month authorized by her Russian visa, and Moscow was now demanding her return. She was compromising his career. She would be getting on that flight back to Moscow on March 8. “Well, if I must leave,” she’d said, “where’s my passport?” Benediktov had snarled to his aide: “Give it to her.”11 Here Svetlana showed she truly was Stalin’s daughter. When she demanded something, she was not to be refused. Benediktov had made a huge mistake that he would pay for later. For the Soviets, Svetlana was the most significant defector ever to leave the USSR. It was 11:15 p.m. As they prepared to leave for the airport, Rayle turned to Svetlana. “Do you fully understand what you are doing? You are burning all your bridges.” He asked her to think this over carefully. She replied that she had already had a lot of time to think. He handed her $1,500 from the embassy’s discretionary funds to facilitate her arrival in the United States. Svetlana easily passed through Indian customs and immigration and, in five minutes, with a valid Indian exit visa and her US visitor’s visa, joined Rayle in the international departure lounge. When Rayle asked her if she was nervous, she replied, “Not at all,” and grinned. Her reaction was in character. Svetlana was at heart a gambler. Throughout her life she would make a monumental decision entirely on impulse, and then ride the consequences with an almost giddy abandon. She always said her favorite story by Dostoyevsky was The Gambler. Though outwardly cool, Rayle himself was deeply anxious. He was convinced that, as soon as they discovered her missing, the Soviets would definitely insist that she be handed over. If she was discovered at the airport, the Indian police would arrest her, and there would be nothing he could do. He felt the consequences for her would be grave.15 Execution would have been the old Stalinist style, but her father had been dead fourteen years. Still, the current Soviet government took a hard line on defectors, and imprisonment was always a possibility. When the classical dancer Rudolf Nureyev defected in 1961, he was sentenced in absentia to seven years’ hard labor. In Rayle’s mind must also have been the recent trials of the writers Andrei Sinyavsky and Yuli Daniel. In 1966 they’d been sentenced to labor camps for their “anti-Soviet” writings, and they were still languishing there. The Kremlin would not risk a public trial of Svetlana, but she might disappear into the dark reaches of some psychiatric institution. Svetlana, too, must have had this in mind. Sinyavsky was an intimate friend. At least she knew that, were she apprehended, she would never be allowed out of the Soviet Union again. The staff failed to check the status of the Qantas flight. Had they discovered that Svetlana and Rayle were sitting for almost two hours in the airport lounge and could have been recalled, Svetlana would have been driven back to the embassy and “kicked out.” The whole course of her life would have gone very differently. But Svetlana’s life always seemed to dangle on a thread, and chance or fate sent her one way rather than another. She would come to call herself a gypsy. Stalin’s daughter, always living in the shadow of her father’s name, would never find a safe place to land. From STALIN’S DAUGHTER by Rosemary Sullivan Copyright © 2015 by Rosemary Sullivan. Reprinted courtesy of Harper, an imprint of HarperCollins Publishers.